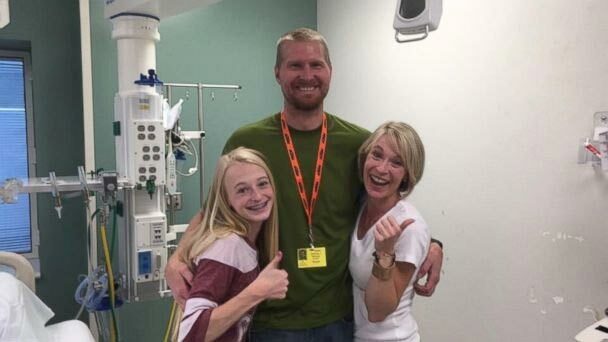 A 14-year-old Utah girl born with a congenital heart defect was overwhelmed with tears of joy when she learned she'd be receiving a life-saving gift - a new heart. SALT LAKE CITY, UT -- One Utah teen was crying happy tears this week after learning that she'd be receiving a brand new heart. Macey Wright's emotional reaction was captured on camera by her mother, Patrice Wright, who received the call from doctors on Monday. "I wanted everybody else to see how amazing that call was for our friends and family," Wright of Salt Lake City told ABC News. "She's a pretty tender, sweet-hearted girl. I did think she'd cry tears of joy, but I didn't think she'd be that elated." Macey, 14, was born with a congenital heart defect. She's been through open heart procedures including one three years ago, her mother said. This year however, Macey's heart weakened. The teen was bumped up on a waiting list to receive a heart transplant, due to her showing symptoms of heart failure. "She had high pressures in her lungs and they need to be low enough to receive a transplant," Wright said. "If [a heart] didn't come soon, she would have to have a heart and lung transplant," Wright said. "There was a great urgency when the call came." Macey Wright is seen in a photo provided by her mother, Patrice Wright. On Aug. 29, Wright received the call that Macey needed to get ready to leave for the hospital. 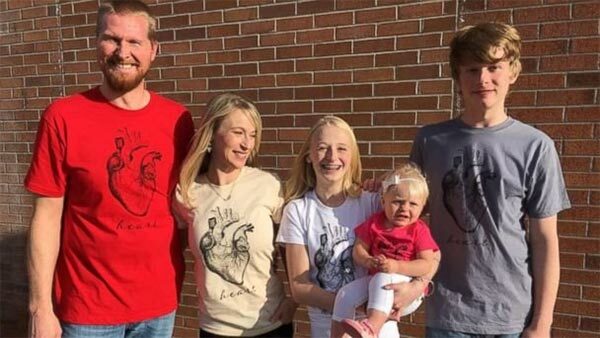 Less than an hour later, the family left for Primary Children's Medical Center in Utah after it was confirmed that Macey would get a new heart. Wright pulled out her cellphone to capture Macey's response to the good news. The video received 185,000 views on the Macey's New Heart Facebook page. The same day her heart came in, Macey underwent surgery. Wright said her daughter is making slow, steady progress, and is awake and smiling. "She's very brave," Wright said. "Macey's been faced with many difficult emotions besides feeling sick on top of that. She's had to realize what that means to get a donor organ. That makes her sad for the [donor's] family. She struggles with that, [but] she's so grateful that somebody gave her this gift." Macey has been documenting her journey of being a transplant patient on YouTube. The teen hopes to become an advocate for organ donation. "She feels like it'll save a future life down the road and she wants to be a part of that," Wright said. The latest post on the Macey's New Heart Facebook page shows a photo of Macey listening to her new heart through a stethoscope.